Welcome Daisy to our Noble Pet Family! Daisy had a rough start in life. For her first eight years she lived on the streets or in a shelter in Puerto Rico, until the Lost Dog & Cat Rescue Foundation brought her to Virginia. We have learned so much from her about patience and resilience. Even after everything she has been through, she has bonded with us, is gentle to everyone, and shares so much love with our family. 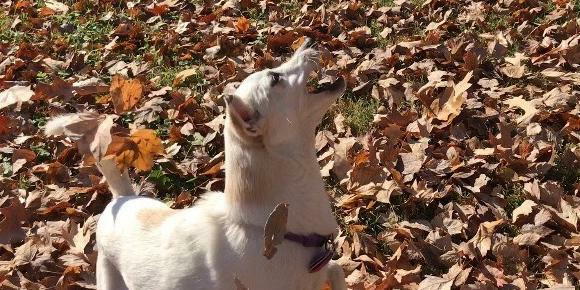 Daisy loves to take walks, play in the leaves, and snuggle. She is a very special girl.